The Champions Cup took place on December 27 at Oriel Park, where it put the winners of SFAI underage leagues against NIBFA winners. In what was the of the tournament, the DB Sports Tours creation was a soaring success once more. The Champions Cup has always been illustrative of DB Sports Tours sticking to their core values; the development of Irish youth football. However equally, it has also mirrored their development as a leading sports tours operator; this was the first year in which there were girls matches played too. For the boy’s section it was split with two victories for SFAI (Schoolboy Football Association of Ireland), and two for NIBFA sides (Northern Ireland Boys Football Association). 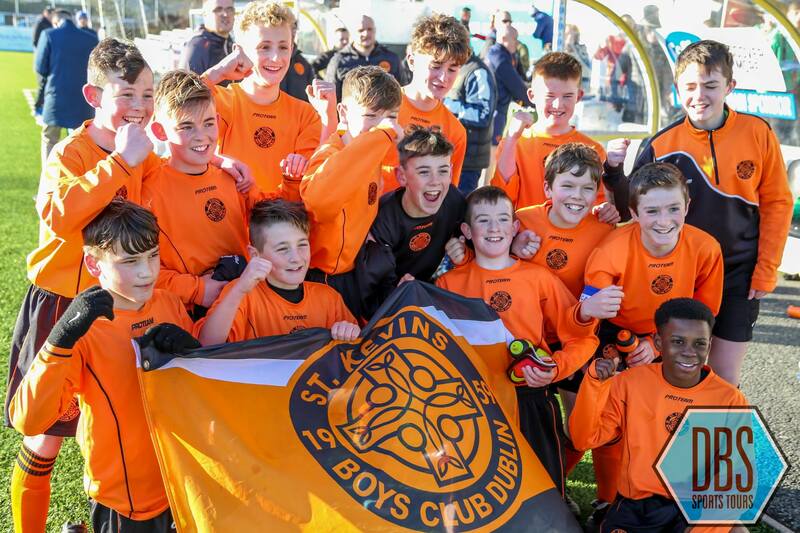 St. Kevin’s Boys of Whitehall Dublin were winners in both the 2005 and 2003 born section, beating Linfield under-15 and under-13 outfits in both matches. Elsewhere, the NIBFA representatives found success in the 2002 (under-16) and 2004 (under-14) sections with Linfield and Glentoran winning their matches against St. Kevin’s Boys and College Corinthians of Cork. For the girls meanwhile, there was success for Shelbourne’s under-15 side, while in the under-16 section it was the intriguingly assembled NIBFA Select Side who overcame their SFAI competitors Kilmore Girls under-15’s. While all three teams put in good performances, the stars of the show were undoubtedly the Under-13s.”. Meanwhile DB Sports Tours Co-Founder David Berber reflected upon the Champions Cup 2017, stating: “it gets better and better every year, we are very proud and grateful for the girls taking part this year and we will look to grow this section next year”. Already DB Sports Tours are putting plans in place for their 7th edition of the Champions Cup, which as ever will take place late December 2018. In the meantime make sure to check out the rest of our regularly updated blog here.